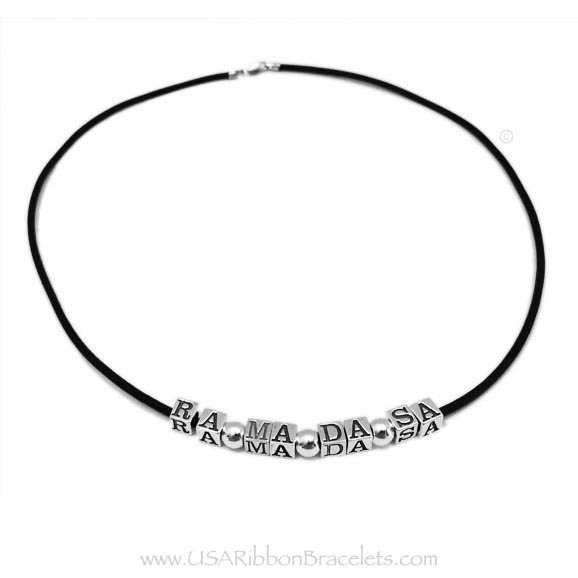 This leather man necklace is made with sterling silver 5.5mm alphabet block letters spelling your child's name, your child's initials or a favorite saying. You may have as many letters as will fit on the black Greek leather necklace cord. The leather cord comes in 3 sizes... 16, 18 and 20-inch 2mm Round BLACK Leather Necklace with a Sterling Silver Lobster Clasp. 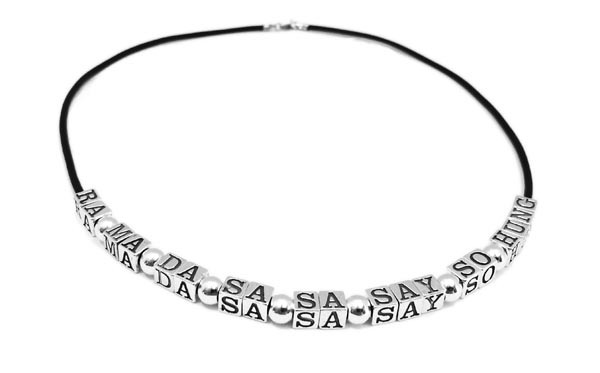 This necklace or bracelet can be further personalized. Just call or text me 615-490-2177 with questions or to place your orders. Black Greek Leather Cord with a .925 sterling silver clasp and .925 sterling silver alphabet block cubes. You may have multiple names on one bracelet. Leather and Sterling Silver Necklace with kids' initials. Shown with 8 letters/special character.